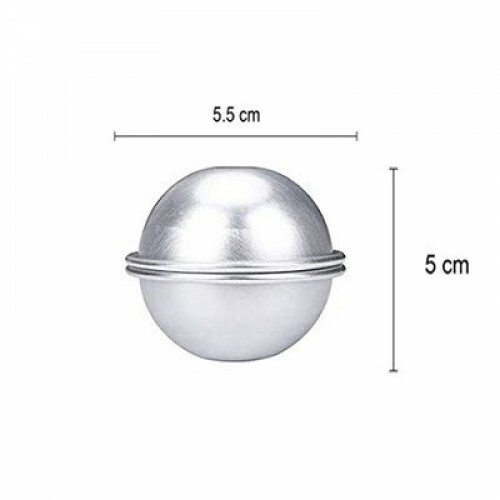 Medium Aluminium Alloy Dull Silver Tone Bath Bomb Mold. Multifunctional molds to be used for DIY bath bombs or other sculpture building. Made from sturdy aluminum metal, long-lasting, durable, safe and easy to use.